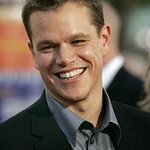 Matt Damon will make a cameo appearance on the latest season of Entourage to promote a charity he is involved with. “It wasn’t hard to get him,” Entourage executive producer Doug Elin told TV Guide. "Matt came on the phone with me and wanted to do something that focused on his charity, ONEXONE, which helps kids all over the world." Damon will join NBA star LeBron James in the episode, which features Damon forcing Adrian Grenier's character to donate more to the charity than he intended to. Damon has hosted several galas for ONEXONE, and undertaken several overseas visits to promote the charity’s work. ONEXONE is well known for supporting, preserving and improving the lives of children in Canada and around the world. ONEXONE is a non-profit organization that supports children in Canada and abroad. Established less than four years ago by Joelle Adler, it has already raised over $5 million and created partnerships with major corporations and foundations, such as H2O Africa, the Yéle Haiti Foundation, Millennium Promise, War Child and Spread the Net. The episode will screen as the finale of Entourage’s sixth season finale on October 4.